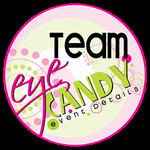 You may have heard of this site..you may even be a fan on Facebook. It's a site for the 'EveryDay' mom. A fabulous resource for tips, inspiration, great finds...everything! 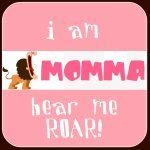 What's FAB about Savvy Mom's this week is their brand spanking new site! Check it out!! It's gorgeous! Fab Find #2 - Frog Prince Paperie. There are so many things to love about Frog Prince Paperie. 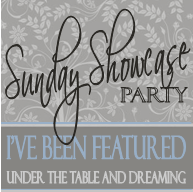 Fabulous printables, super parties and beautiful photographs. 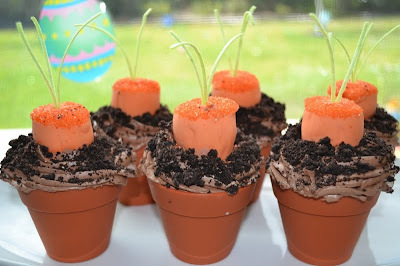 But what I think is FAB this week, is this tutorial for Carrot Patch Cupcakes. These are perfect for an Easter brunch, a fun playdate, or a random Thursday! Head over to Frog Prince Paperie for all the details! Kelli's blog isn't new to me. I am ALWAYS finding inspiration from her. From her placemat garden flags or monogrammed doormat. In honor of Earth Day, Kelli made a pen and pencil caddy with her kiddos. Which makes her blog (even more) FAB this week! I love everything about projects like this. Simple, inexpensive & gets the kids involved. For all the details, check out Random Thoughts of a SUPERMOM. What FAB finds have you made this week?! Thanks so much for the feature Staci...your sweet words made me blush a little:) I love those carrot cupcakes!! Such a cute and pretty easy idea too! Oh my! Great finds, as usual! Those carrot top cupcakes are so stinkin' cute! Precious! Thanks for sharing!